This is the ultimate guide to send large/long videos from iPhone - top 7 secure and easy ways are suggested, including the solutions to the trouble of video is too large to send. Click to learn how to send long videos on iPhone right now. Tips: The methods provided in this tutorial applies to iPad and iPod touch as well. Nowadays, no one would think sharing a video from iPhone is a difficult task, right? However, the videos here are just those videos of small size and for most users, sending large videos from iPhone is still a daunting task to complete. That is to say, the problem that how to send long videos on iPhone still troubles many users. Reasons: Why You Fail to Share a Video from iPhone? #1 How Can I Send Long Videos via Text? #2 How Do I Send a Video from My iPhone to Email? #4 How Can You AirDrop Large Videos from iPhone? #5 How to Send Long Videos on iPhone Using iTunes? Why You Fail to Share a Video from iPhone? The size limit: In order to prevent the server overload and ensure the smooth running of iPhone, Apple does not allow users to send large files from their mobile phones. iSight Camera: The iSight camera only records HD videos. That means a two-minute video will probably set by few hundred MB. Then you may ask, "How Can I send a 10-minute video on iPhone?" Just read on to get the answers. How Can I Send Long Videos Through Text? There is a size limit to sending videos on "Message" App, so please pay attention to the size of your videos. In addition, please remember that you can only send iMessage to other iDevice users over Internet. As for SMS, you can send the message to any phone users without limitation. How Do I Send a Video from My iPhone to Email? Sending iPhone videos via email is also a feasible method and you can complete the emailing process in different ways. Let's learn how to send videos from iPhone to email together! Step 1. Download, install and open the Google Drive on your iPhone. Step 2. Click the "+" icon after entering the App and continue to choose "Upload". Step 3. Select the option "Photos and Videos" and choose a long video file that you want to send. Step 4. Once the uploading process ends, you can click on the uploaded file and click "Get Link" to copy the URL. Step 5. Login to your Gmail and paste the copied link of the large video on the email and then send it. Step 1. Press the "+" icon on the primary interface of "Dropbox" App. Step 2. Choose "Upload Photos" and then select the video that you want to share. Step 3. Click on "Next" when you check the wanted video and tap on "Upload". Step 4. Tap the video you want to transfer in Dropbox and click the "Share" option. Step 5. After that, a window will open and you can enter the recipient's email address in it. Step 6. At last, you can hit the "Send" button to transfer your video to others. Step 1. Open the "OneDrive" application on your iPhone and then sign in to your account. Step 3. Select the file you want to transfer and tap on "Share" > "Copy link". Then a URL for your video will be created. Step 4. Open the email App on your mobile phone and paste the link. Step 5. Finally, you can simply send the email and share the video with others. Step 1. Turn on the "Mail" App on iPhone and click to compose an email. Step 2. Enter the recipient and subject and click the body of the email. Step 3. Then 5 icons will appear. Just click on the "Camera" icon to choose the video that you wish to send. Step 4. Hit "Send" at the upper right corner and you will see two options - "Use Mail Drop" & "Try Sending Attachment". Just choose the first option to send your video. All the emails have the size limit as well so you need to choose the suitable one to send your video. And if the device prompts the video is too long to text or email when you use the methods above, that means you need to try other ways. Q: How to send a video that is too long for iPhone? Launch the recommended software on your computer and then follow the prompts to connect your device via USB. 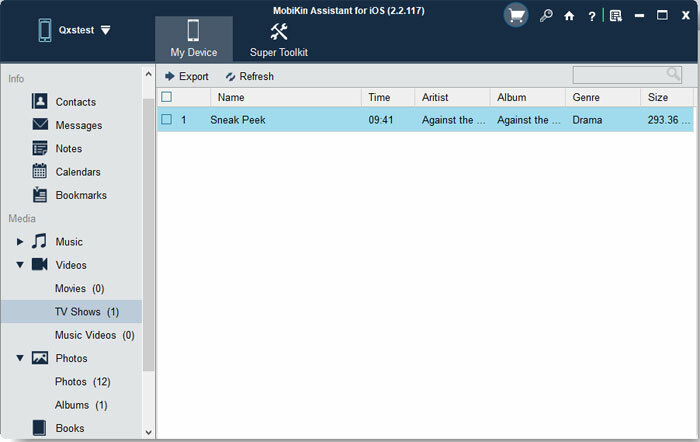 After that, the program will detect the connected phone automatically. Here, please trust the computer on your phone if required. - For the users who wish to export movies, TV shows or music videos to computer, you can tap on "Videos" in the left panel. - For the users who want to transfer the recorded videos, you can click "Photos" > "Albums". After that, the contents of the selected folder will be located to the right pane. Just view and choose the videos that you want to send to computer. At last, what you need to do is just to hit the "Export" button at the top menu to move the selected videos. Once the exporting process is completed, you can open the folder that you used to save the exported files to check and manage the data. Before starting the transferring process, please ensure you have installed the latest iTunes on your computer. How Can You AirDrop Large Videos from iPhone? Q: Can I AirDrop videos from iPhone 6 to iMac? Is it possible to AirDrop videos from an iPhone 6 to an iMac? Supposed that your iPhone is running on iOS 7 or above, you can send the large videos via AirDrop as well. AirDrop is an ad-hoc service that enables you to transfer files between Mac computers and iOS devices over Wi-Fi and Bluetooth. So for the users who just want to send their videos from iPhone to another iPhone, iPad or Mac computer, AirDrop could be a good choice. Step 1. Unlock your iPhone and enter the "Control Center" by swiping up from the bottom of the screen. Step 3. Also, activate the AirDrop on the iOS device that you wish to send the videos to. Step 4. Open the video that you wish to transfer and tap on "Share". Finally, you can choose the contact shown on the AirDrop card and the receiver should tap on "Accept" on his/her device. How to Send Long Videos on iPhone Using iTunes? Q: How can I send a large video file on iPhone by using iTunes? Speaking of transferring iPhone files, iTunes is an essential tool - it enables you to sync different kinds of files from iPhone to computer and video is included. Just follow the steps below to have a try. Step 1. Download and install the latest iTunes on your computer. Step 2. Launch the iTunes on your computer. 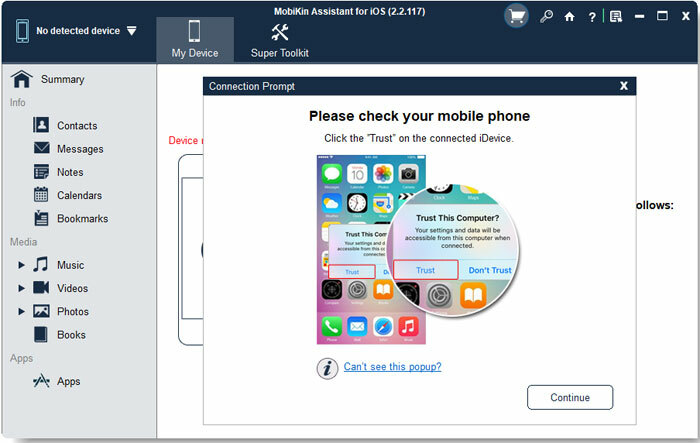 Then connect your iPhone to computer by using a USB cable and make the connected device be recognized. Step 3. Tap on the iPhone icon at the top menu. Step 4. Continue choosing the option "File Sharing". Step 5. After that, all the files that can be transferred will be listed in the right column. Just tap on the App that contains the videos you want to transfer and choose the one you need. Step 6. Click on "Save to.." and the selected files will be exported to computer. Please note that only the videos saved in applications can be sent in this way. But here iTunes does not support to export videos downloaded or stored in the iOS TV App. This is a high-rated compress application in App Store. It enables you to compress a single video, multiple videos or even entire albums. In addition, its concise interface makes it easy to use. With this App, you are able to reduce the size of your video without any hassle. To complete the reducing process, you just need to open the wanted video and then resize it. Please notice that the pixel and definition of the video will be affected after the compression. Q: What is the best App for big files transfer? From its name, you can clearly know that TransferBigFiles is a tool good at sending and receiving big files. It allows you to send up to a whopping 20 Gigabytes while most email systems max out at 10 to 25MB. Send Anywhere - File Transfer is a high-rated App in App Store (4.8 out of 5). This well-received application provides you an easy, quick and unlimited file sharing way. You can use it to share your long videos via Wi-Fi without restriction. There are so many applications on the market and in order to avoid damaging your device, please choose a safe as well as reliable tool to transfer your large files. See, you have so many ways to send long videos on iPhone. Every way has its own pros and cons so you need to choose the suitable one according to your circumstance. But in my opinion, sending the videos with Assistant for iOS would be the best choice and you are strongly recommended to try it for free. And if you have any problem or idea about this tutorial, please leave your contacts below. How to Recover Recorded Videos from iPhone? How to Transfer Contacts from iPhone to PC? How to Transfer Contacts from Computer to iPhone?